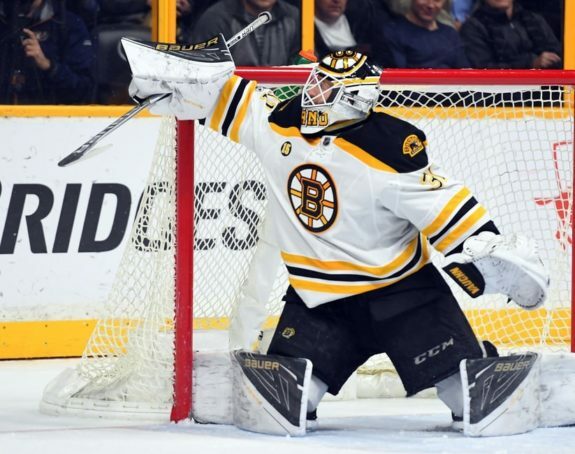 The Providence Bruins won just one of their last three games, dropping a midweek game on the road to the Wilkes-Barre/Scranton Penguins before splitting over the weekend. The Penguins needed the win to stay within striking distance, only three points behind the P-Bruins for the division’s final playoff spot. Picking up a win over the Syracuse Crunch on the three-game road trip was enough to keep the Penguins three points away. With six games remaining in 2018-19, there were also some headlines regarding the future this past week. Zane McIntyre has put together his best stretch of hockey this season. The Providence netminder has seen the bulk of the workload, but his numbers don’t jump off the page. McIntyre (.902) and AHL rookie Dan Vladar (.901) are both sporting save percentages this season that are average at best. Despite those numbers, as a team, Providence is fifth in the AHL in goals against, with the duo sporting an overall goals against average of 2.71. The P-Bruins sitting in the top five in goals against may be more of a team accomplishment. A strong group of blueliners and two-way players at center make for a difficult night for opponents. With that said, to win in the playoffs the team will need more out of its goaltending. McIntyre was always likely to get the first crack in a playoff situation, but he’s starting to play into the role. McIntyre surrendered five goals in each of his last two February starts, back-to-back losses. When the calendar turned to March, McIntyre turned the page as well. In nine appearances during the month, he put together a 3-3-3 record with a 1.75 GAA and .932 save percentage. The record would’ve been much improved without the injuries and call-ups that happened within the organization during that stretch. Paul Carey also remained hot, returning from his brief stint in Boston with a three-point night, factoring in every goal in a 3-1 win over the Binghamton Devils on March 22. Carey’s two goals in the game put him over the 20-goal mark on the season, with 21 goals, 29 assists and 50 points in 53 games. Since returning from Boston, the P-Bruins leading scorer has two goals and two assists in five games. 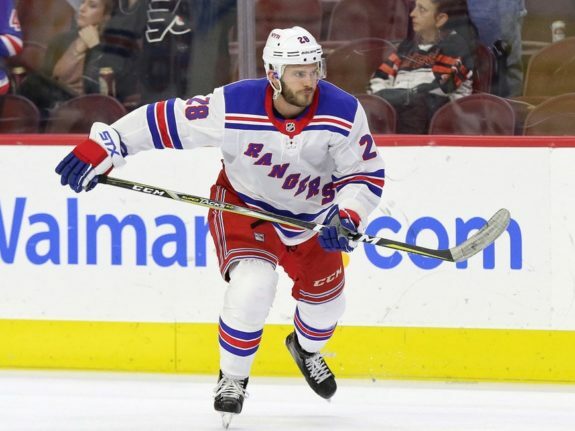 The former Boston College Eagle was rewarded by the organization, signing a two-year, two-way contract ahead of the matchup with the Penguins. It’s a great move for the organization, as Carey can provide some depth for the NHL team. The impact in Providence could be a much larger one. Carey is a player that knows the league well. Despite limited NHL opportunity, he’s added to his game to become a premier scorer at the AHL level in recent years. Carey can pace the offense, while also helping the organization’s large crop of young forwards develop. Given the offensive numbers Carey began putting up in just his last three AHL seasons, he’ll still have a lot to offer in Providence. There was more good news for P-Bruins during the week, as Boston announced a 10-year affiliation extension with Providence. Keeping the AHL affiliate in Providence doesn’t come as a surprise. It keeps prospects close to Boston, in a division where the travel is less demanding than others in the league. Fans in Providence won’t complain about the affiliation now in its 27th season, either. Although there’s only been one Calder Cup championship, the Baby B’s have only missed the playoffs five times. The P-Bruins need points in the final six games to hold off the Penguins and avoid a sixth season without playoff hockey. The most important thing of course is health, as defenseman Urho Vaakanainen has been out since March 10, while forward Gemel Smith missed Saturday’s 2-1 loss to the Hershey Bears. On a positive note, four of the final six games are at home, where the team has racked up an impressive 27-7-4-1 record. Looking on to the playoff horizon, home ice dominance could really come into play. The P-Bruins could still catch Hershey for third place as they currently sit two points back with the Bears owning a game in hand. A more likely scenario is finishing fourth and facing the first-place Charlotte Checkers, a team Providence owns a 4-3-1 record against this season. The best-of-five first-round format would see the first two games played in Providence before finishing the series with three in Charlotte. The distance between the two teams could end up being an advantage, as the Checkers would get the first two games in a 2-2-1 format if the series was essentially a bus trip. There’s still work to be done of course, but playing the division’s top team may not be the worst scenario.